A review of Citadel Health Insurance Company leads to Citadel Insurance Services. This company is a company with a dual purpose. They help insurance companies insure high-risk clients and help insurance companies manage and market themselves to clients. 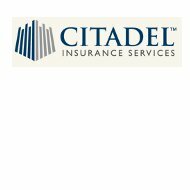 Citadel does sell insurance directly to high-risk commercial clients through specially designed packages. Citadel is an insurance management company. Insurance management companies provide direction for insurance carriers. This means that an insurance company can come to Citadel and explain to them what they want to accomplish and Citadel will write a plan that includes marketing and execution of the plan itself resulting in a stronger client base. Secondly, insurance companies can bring their high-risk client profiles to Citadel and Citadel will work with underwriters to find insurance plans that match the high-risk profiles. Citadel has contracted with several underwriters who specialize in high-risk insurance and niche markets. They then make the connection between their clients and their underwriters. Individuals who are within one of these areas can also apply directly to the company for assistance. Citadel accepts individuals on a case-by-case basis. In addition to the program services that Citadel offers to specific industries, they also provide specialty coverage from which commercial clients can take advantage. These services are for existing clients who hold other policies or program packages with Citadel. In some circumstances, Citadel will make an exception and sell just a specialty coverage plan to a business. For televised events, if the transmission equipment fails, the cost of the event will also be covered. Weather insurance covers an event that is not cancelled due to weather but receives a significantly lower attendance due to rain, wind, snow, or temperatures. The contractual bonus coverage pays the bonus of an employee once they meet specific requirements. Citadel’s prize indemnity coverage provides a prize for a promotion up to $1 million dollars as long as the company giving the prize pays their monthly premium amount. The EnergyPAC is for any company that harvests and/or sells oil, gas, petrochemical, or alternative energy, including mining and mining facilities and covers any company that works directly with items or contents that have the potential to be damaging to the environment. Mass pollution is covered under this package as well. The HealthPAC package covers pharmaceutical companies, medical device manufacturers, home health care providers, and hospitals including workers comp and malpractice insurance. The ManufacturingPAC includes any company that manufactures goods that will be used by consumers or purchased in mass. It covers any damages or injuries that may result from faulty manufacturing. NutraPAC covers the liability of companies that sell nutritional products and supplements. ProfessionalPAC covers professionals in industries where personal liability risks are high such as public officials, school boards, and real estate brokers.